Back to the mountains I have gone! 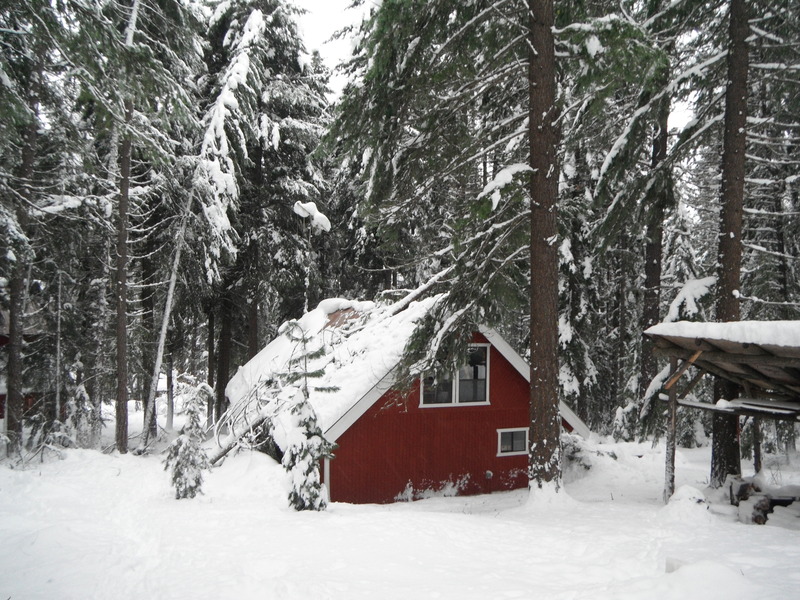 This is my second of three week long vacations at our family cabin with my mother and boys. The cabin is “my HAPPY place!” However, it does pose a challenge for maintaining my strength training routine. YES – I do have plenty of portable fitness equipment that I do bring with me – exercise tubing and TRX Suspension Trainer. 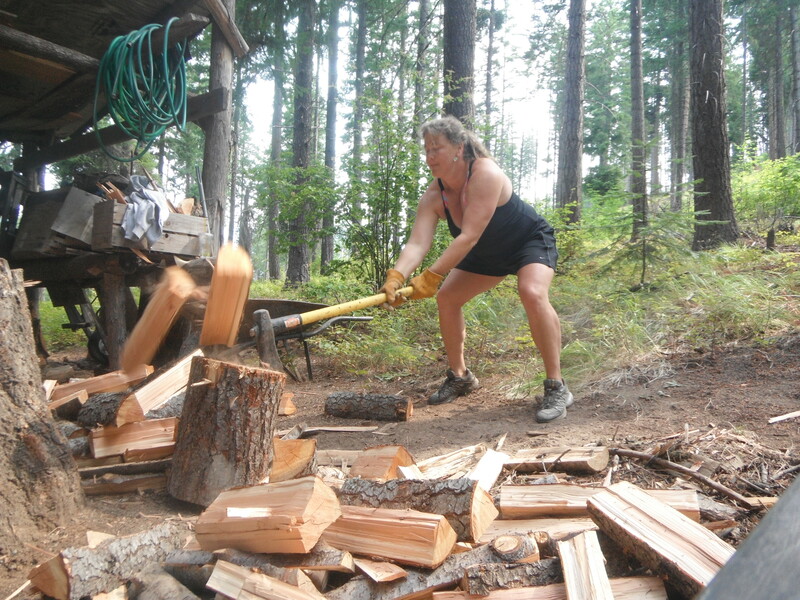 I realized that not everyone has these available to them so to fulfill my mission of providing FUN, challenging, rewarding, effective and efficient workouts I have come up with one that incorporates what is plentiful in the forest – WOOD! 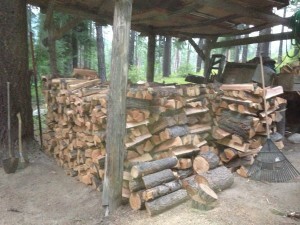 Specific: clean up fallen trees from winter storm, cut into rounds, chop, stack in woodpile for the upcoming winter. Measurable: Down trees to chopped wood, yep we can measure it! Achievable: We had plenty of people helping out, chain saws, wheelbarrows and axes. Realistic: with the entire family pitching in, definitely achievable! 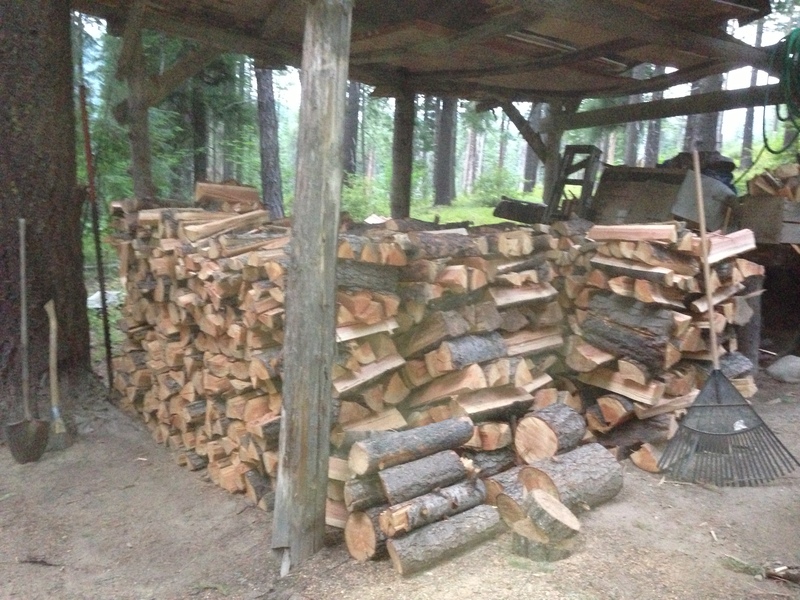 I discovered what I really liked about chopping wood was that there was a goal and each day I could see the task that needed to be completed. Once I had completed the chopping for the day I could see the progress made – the wood rounds pile became smaller and the chopped wood pile became larger. Larger then it has ever been since my father passed away in 2002. Again, this provided a great workout, achievement and pride in a job well done. A simple reminder of how we should be tackling all of our goals we set forth to achieve in life. We have five months remaining in 2013, take this time to review your goals, update them if necessary and be sure they are SMART goals. Prior to any exercise you should warm up to prepare the body for the activity you will be doing. Below you find a link to a joint mobility warm up routine that you can use prior to ANY exercise that you may be performing. Specific to wood chopping I also started with smaller rounds of wood and easier swings of the axe before moving onto the bigger rounds! I hope that you have enjoyed these exercises and that they have shown you the possibilities for your workouts. Be creative, think outside of the box and SQUASH the excuses for missing your workouts! Jennifer is the owner of PEAK fitness NW, 20 year Certified Personal Trainer & Health Coach and 10 year PSIA-NW Ski Instructor and author of the upcoming “PEAK Ski Conditioning” program. Receive new ski, fitness, health and nutrition tips weekly by sharing your name and email to the right side of this blog! August PEAK fitness NW Ski Conditioning programs begin Monday, August 5th, in the Portland Metro area! You can still take advantage of the 2 for 1 Outdoor Fitness Training special. Go to www.peakfitnessnw.com/events for all the details! If you have any questions on how you can kick-start an active lifestyle that incorporates the outdoors contact Jennifer Lockwood. She can be reached at jenn@peakfitnessnw.com or 503.913.8385.